A little replanting later, and we’d separated everyone out. 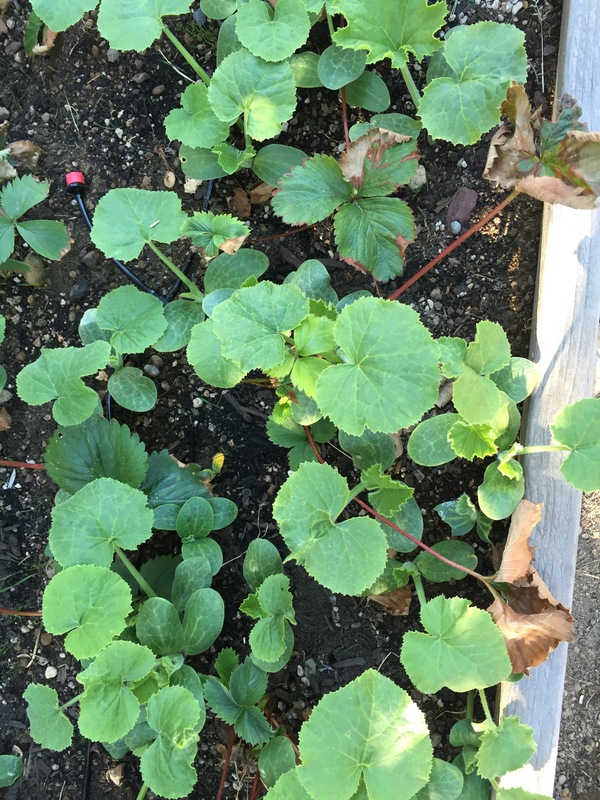 I ordered a drip irrigation system and automatic watering timer, and all those plants are growing like it’s their job. 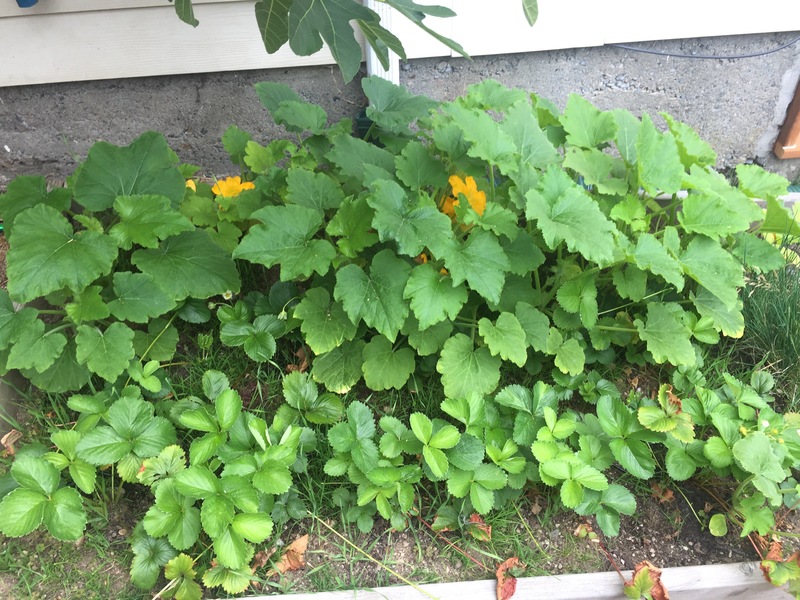 Squash is blossoming in the back, and the strawberries are much happier in the sun in front, making new vines, leaves and some fruit. Just above that raised bed is our fig tree. 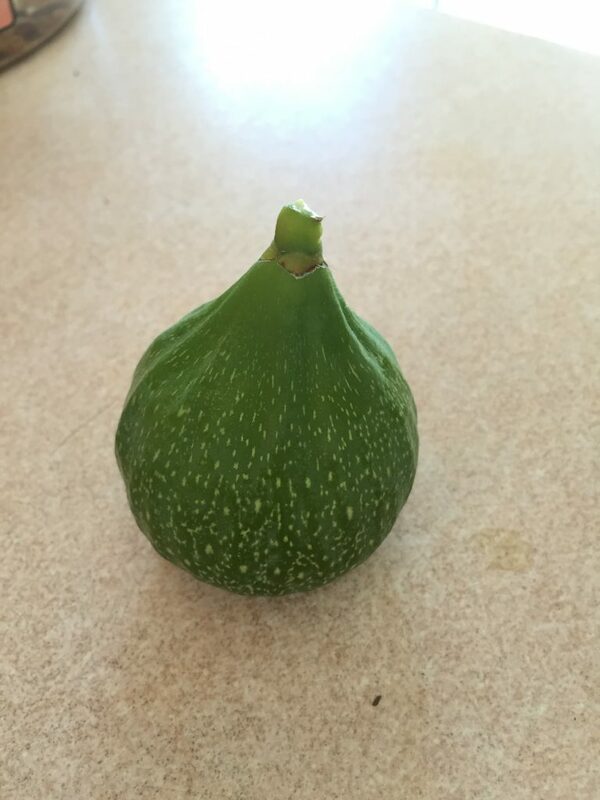 It’s planted pretty close to the house, but so far, we haven’t seen any signs of root intrusion and we have seen lots of signs of figs. We’ve been pulling down about 10-15 big ones a day since they started to get ripe, and for now, they’re just going in the freezer if they don’t go in the morning’s granola. But there are tons more, and some are definitely destined for a pizza, with others getting wrapped in bacon and stuffed with blue cheese. When we got the keys, we were told the big apple tree in the backyard was of the Gravenstein variety. 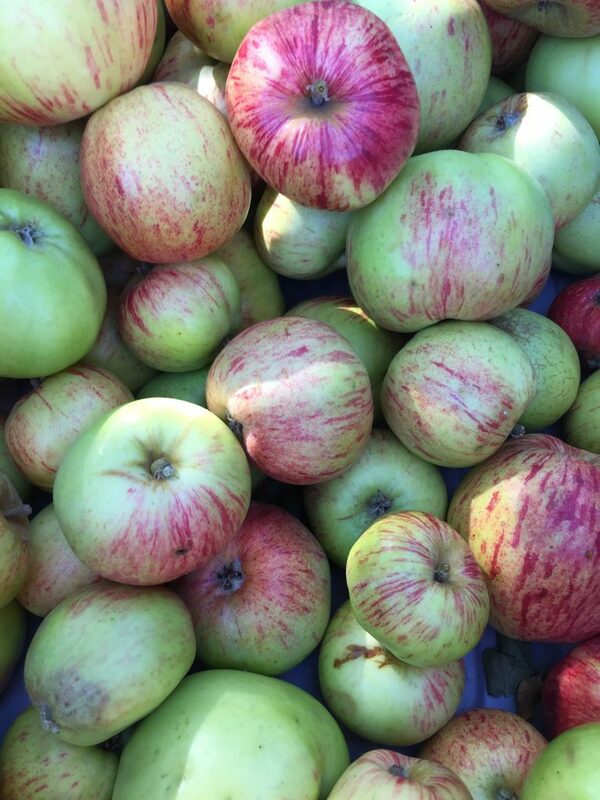 Some timely googling by Dina this past weekend taught us that these apples ripen much earlier than, say, the varieties we’re used to on the East Coast. In fact, they are ready now. The irony is that Dina doesn’t really enjoy apple juice, cider, sauce or pie, so we’re on the lookout for other ways to use them up. We also have way more than we need, so if you’re in the area, drop a line and we’ll hook you up with some fruit.